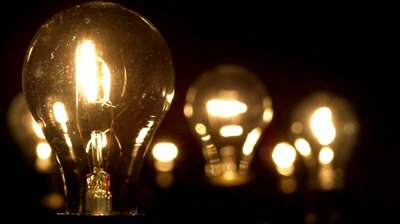 WHEN we were growing up as kids in the late 70s and early 80s, we were made to understand whenever there was power outage that there had been a major technical fault occasioned either by an environmental interference or weather induced. I still remember vividly the fact that whenever there is a prolonged power outage, an announcement would be made on radio and television and apologies tendered to the public with assurances to rectify the hitches. There were problems quite all right but within hours light would be restored. Unfortunately things have really gone bad. The operators do not believe that the consumers deserve respect and that there is accountability when there are failings in service delivery. The exclamation “Up Nepa!” says it all: Exasperated citizens feel relieved and jubilation reverberates everywhere. That is when light is restored, characterising expressions of joy and relief whenever electricity is brought. There is the rushing by Nigerians to start charging their phone battery and electrical appliances in anticipation that power may go off again any moment. “Crazy bills” has become the order of the day with the public being made to pay as high as N10, 000 to N15, 000 per month as electricity bill for a two or three bedroom flat apartment. Nigerians are often harassed into paying bills for electricity they did not use. Consumers are coerced with threats of disconnection to rush to pay for what they didn’t use just to save face and maintain their pride in their communities. “Inherited bills” seem to have come to stay, as new tenants of a particular apartment is forced and harassed into clearing any outstanding bills owed usually by the predecessor tenant. The introduction of prepaid meters a few years ago came as a relief to many, but hopes were dashed when many were made to understand that those meters were actually meant for VIP customers. Nigerians less endowed materially had to pay through their nose just to get a prepaid meter. The price tag was as high as between N50, 000 to N100, 000. Even then you had to wait endlessly, indeed, for months. In the end you might still not get any meter and no money is returned nor is any interest paid for deposit in the operators’ custody. The electricity transmission companies shy away from taking responsibility or measures at restoring or repairing power installations whenever the occasion arises, which could be either due to the elements, such as storm or activities of vandals. The affected communities are usually made to bear the brunt and such breakdown. Not only that the public is made to contribute certain amounts of money to fix even the minutest faults. It is double jeopardy when you consider that upon that, one still has to pay the bill, crazy or not at the end of the month! It is pertinent to say that some areas experience near uninterrupted power supply while others who are in the majority have light for no more than four hours a day. What this throws up is that a lot still need to be done with regards to power distribution in Nigeria. If I may be specific with particular reference to the Kwara State Capital, Ilorin, where I reside, communities such as Airport, Asa-dam/Dangote, Agbo-Oba, Ganmo, Ita-Alamu, Olunlade and some parts of Osere and GRA usually have almost 24 hours uninterrupted power supply at the expense of other communities which constitute almost 70 per cent of the population of the state capital. It must be intriguing that the billings do not reflect this disparity and lopsidedness. It doesn’t really matter the quantity of electricity Nigeria generates, what matters is how much of electricity a household gets. Even if the country generates one million megawatts of electricity, it wouldn’t make any sense or meaning to the average Nigerian if at the end of the day he/she doesn’t get to enjoy it. Hence, the need for the power transmission companies to look urgently into their modus operandi to resolve and rectify the lopsidedness in electricity distribution. • Obaro lives in Ilorin, Kwara State.